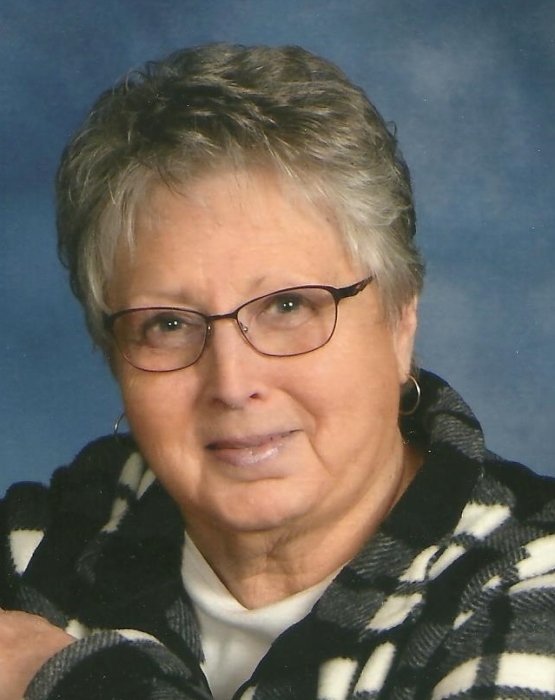 Patricia W. Mortensen, age 75 of Monticello, passed away on January 21, 2019, surrounded by family. Patricia was born in the Litchfield Hospital to Lloyd and Orella Valiant on April 21, 1943. She grew up in Forest City, MN and attended Litchfield High School. She was united in marriage to Lowell Mortensen on August 26, 1961 at St. Gertrude Catholic Church in Forest City. They moved to Monticello in 1968. Patricia was a member of the Monticello VFW Auxiliary. Pat enjoyed bowling and cherished a part of her life traveling for a living while in their semi-truck with her husband, Lowell, crossing the United States. She had a deep love for her family and loved spending time with them. She always had an “I’m fine” attitude. She will be greatly missed. She was preceded in death by her parents, Lloyd and Orella Valiant, sisters-in-law, Ruth Valiant and Holly Valiant; brother-in-law, Ralph Johnson. She is survived by her husband of 57 years, Lowell Mortensen; children, Greg (Chrismas) Mortensen and Deb Bremer; grandchildren, Lexi Bremer (Michael Hise), and Nikki May; great granddaughter, Chloe Hise; Lexi’s father, Tony Bremer; siblings, Lee Valiant, Don (Betty) Valiant, Virginia Johnson, Jim Valiant, and Phillip (Jo) Valiant; many nieces and nephews; and other relatives and friends. Mass of Christian Burial on Tuesday, January 29, 2019 at 11 am with visitation one hour prior at Mary of the Visitation Catholic Church, 440 Lake St, Big Lake, MN.